Originally from the Bahamas, Dr. Glass enrolled in the Medical Scientist Training Program at Baylor College of Medicine (BCM) in 998. He received his PhD from BCM in 2005 from the Department of Human Genetics where he studied the role of Canonical Wnt Signaling in Bone Regulation. 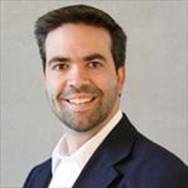 He received his MD from BCM in 2006 and completed his transitional year internship at Cambridge Hospital in Massachusetts in 2008. Dr. Glass completed his residency training in Dermatology and a postdoctoral fellowship in the McDermott Center (with Dr. Helen Hobbs and Dr. Jonathan Cohen) at the University of Texas Southwestern Medical Center. He is board certified by the American Board of Dermatology. 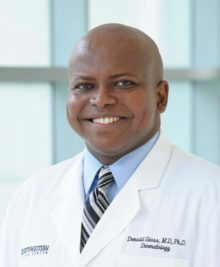 Dr. Glass’ main research interest is in understanding how keloids (exuberant scarring of the skin) occur and in finding the genes that predispose people to develop keloids. Keloids occur disproportionately more often in skin of color, and the ability to develop keloids can be inherited within families. Dr. Glass is compiling a registry of individuals as well as families affected by keloids in order to collect samples and information to study keloids further. His other research interest is identifying genes that cause rare skin disorders. Dr. Glass practices general dermatology and has an interest in genetic skin disorders. 1. Tell us about your current job and what you enjoy most about it. 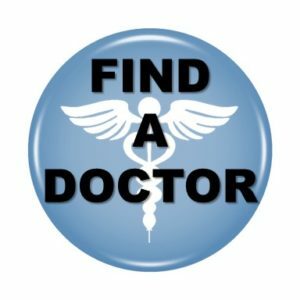 I am a physician-scientist in the Department of Dermatology at UT Southwestern Medical Center. I see patients one-half day per week in my ambulatory clinic (50% keloid patients, 50% general dermatology) and two half days per month serving as an attending in our county outpatient dermatology clinic (Parkland). The rest of my time I am managing a laboratory that is devoted to finding out what causes keloids, with the eventual goal of developing new and better treatment options. My favorite part of this job is talking with physicians, researchers and patients about disease; trying to understand how and why diseases occur and what can we do to prevent or treat them. 2. Do you have a specific area of interest/niche within your specialty and if so how did you decide on it? My clinical and research dermatological niche is keloids. When I started residency I was committed to doing research but did not know on what. My PhD was in bone mass regulation, and the similarity between the dermis and bone (collagen production and resorption; abnormalities in cell differentiation, proliferation and/or function leading to disease) made dermal conditions appealing to me. I also knew I wanted to do research on something that affected skin of color. Once I understood how debilitating keloids could be and our limited treatment options, I knew this was where I wanted to devote my research efforts. 3. 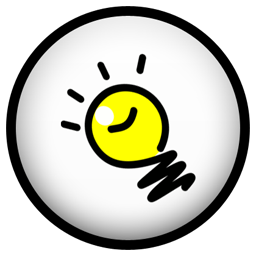 What is your research area of interest and what do you enjoy most about your research? My main research interest is keloids: why they happen, why skin of color is more predisposed to developing them, and how do we prevent them from recurring or ever occurring. I enjoy most the challenge of studying this condition: not because it is easy but because it is hard. Keloids can be challenging to treat and prevent, and each new advance gets us closer to the ultimate goals of effective treatments and prevention. 4. What was your research study for which you received the SOCS grant? My research study looked at genetic polymorphisms and areas of the genome that are inherited within families with multiple members with keloids in order to find regions of our DNA that are predisposing to keloid formation. 5. How did receiving the SOCS Research Grant affect your career? It was the first research grant that I was awarded to study keloids, which is now the major focus of my clinical and research efforts. The support from the SOCS early in my career was instrumental in allowing my research progress on keloids and the development of my lab. It also allowed me to interact with other physicians and researchers committed to improving our understanding of skin of color and establish some collaborations. 6. Have you been involved with SOCS in other ways? I have been involved with SOCS, attending the annual meetings, serving on the Scientific Committee, serving as Chair of the Bylaws Committee and also being on the Board of Directors. It has been rewarding to be involved in several aspects of the Society. 7. Any advice for young dermatologists interested in doing research? You need to be passionate about what your research. There will be wonderful days and frustrating months during the process, so you need to have energy and passion about what you are researching to surmount the disappointing times and get you through to the successful ones. Mentorship is also key – figure out who is doing what you would like to do, the way you would like to do it (in Dermatology or in another field) and then seek them out for advice, direction, and mentorship. I enjoy spending time with my wife and 1-year old son. Work/life balance can be challenging but they make it all worthwhile! We enjoy traveling and trying out new restaurants. I’m an avid sports fan, especially American football, and I play coed flag football with friends. I work as an academic dermatologist in a hybrid position with Seton Healthcare Family, a nonprofit health system, and the Dell Medical School at the University of Texas at Austin. It’s fun being faculty at a brand new medical school where we created the dermatology curriculum from scratch. I enjoy wearing multiple hats–clinical medicine, teaching medical students and residents, and research. It breaks up the week nicely, and challenges me intellectually in different ways. My areas of interest are pigmentary disorders and complex medical dermatology. As a resident, I realized that I really enjoyed seeing patients with pigmentary disorders. Vitiligo and melasma, in particular, are difficult to treat, and the challenge of making those patients better was attractive to me. Since establishing my practice in Austin I have founded the Central Texas Center for Pigmentary Disorders and split my clinical time between pigmentary pts and general medical dermatology. As the academic practice in Austin, my colleagues and I receive referrals from other local dermatologists for patients with difficult-to-treat conditions. As a clinical educator most of my time is dedicated to patient care and teaching. My co-investigators and I recently published a study looking at excimer laser therapy in the treatment of idiopathic guttate hypomelanosis. Currently, I am collaborating with a local bioprinting start-up company to develop a novel protocol for cellular grafting in patients with vitiligo. Although a minority of my time is dedicated to research, I do find it exciting to discover new therapeutics and disseminate that information to the medical community at large. It was a double-blind, placebo-controlled, randomized clinical trial of 40 patients assessing the effectiveness of polypodium leucotomos extract (PLE) as an adjunct to sunscreen in the treatment of melasma. We found that PLE was ineffective. The grant allowed me to carry out the clinical trial that solidified my interest in pigmentary disorders, shaping my career to date. It provided invaluable experience in designing a clinical trial, analyzing results, and publishing, a set of learning experiences that helped me succeed in future research endeavors. I have been a member of the organization since residency, attending the annual meetings, and I currently serve on the Membership and Development committees. Find a trusted mentor! My mentor in residency, Amit Pandya, was such a huge factor in helping me successfully carry out that clinical trial and then establish a career devoted to treating and studying pigmentary disorders and complex medical dermatology. I love cooking with my wife, and “play-cooking” with my 20 month-old daughter and her mock kitchen set! Dr. John E. Harris is a board certified dermatologist who specializes in vitiligo, diagnosing and offering treatment for patients in the Vitiligo Clinic at UMass Medical School and Hospital. Dr. Harris is also a physician-scientist who directs a laboratory focused on studying vitiligo with the goal of developing new treatments. He and his research team have identified a key inflammatory pathway that causes vitiligo, and have begun to test new treatments that shut this pathway off, stopping the spread and reversing the disease through repigmentation of the white spots. 1. Tell us about your current job and what you enjoy most about it? I am currently a physician-scientist in dermatology at UMass Medical School. I see patients one-half day per week in my vitiligo specialty clinic, and then spend the rest of my time managing a laboratory focused on understanding what causes vitiligo with the goal of developing new treatments. My favorite part of this job is talking to other clinicians and scientists in various settings (clinic, scientific meetings, clinical meetings, lab meetings, pharmaceutical companies, etc.) about disease mechanisms and trying to figure out what’s going on. Exploring the unknown is really exciting, and applying this exploration to curing human disease is particularly satisfying. My entire clinical and research focus is on vitiligo. My grandmother and her brother had vitiligo, although I’m not sure I can cite their disease as a reason I chose vitiligo for my specific interest, since I didn’t know what they had at the time – maybe it was a subliminal influence! My PhD thesis was to better understand what breaks tolerance in T cells to cause type 1 diabetes (T1D). My interest in vitiligo began when my thesis advisor, Dr. Aldo Rossini, introduced me to a patient in the ICU with new onset T1D in ketoacidosis. At the same time, she also acquired Hashimoto’s thyroiditis, pernicious anemia, and vitiligo. It was then that I realized that I could use a translational research strategy in the skin to better understand the pathogenesis of human vitiligo, which might also reveal mechanisms of related autoimmune diseases. 3. What was your research study for which you received the SOCS grant? The goal of my SOCS grant was to develop a mouse model of vitiligo in order to understand how autoreactive T cells migrate into the skin and kill melanocytes. We accomplished this, and it provided the basis for most of the work we have done to date. We have also found that interfering with T cell migration into the skin is an effective treatment for the disease, and we are pursuing a variety of opportunities to move this strategy into clinical trials for vitiligo patients. 4. How did receiving the SOCS Research Grant affect your career? It was my first grant to study vitiligo, which is now the major focus of our research. This support and encouragement from the SOCS gave me an important start down the path of vitiligo research and development of new treatments. 5. Have you been involved with SOCS in other ways? Yes, I continue to be a member of the society and attend the meetings. I also recently served on the Scientific Committee for the SOCS. 6. Any advice for young dermatologists interested in doing research? It is critical to find your passion, whatever you decide to do. A career in research isn’t easy and it requires tremendous effort, but it’s incredibly rewarding. If your research is both your vocation as well as avocation, then you’ll look forward to going to work every day and also to opening up your laptop to work on nights and weekends (as I’m doing right now). 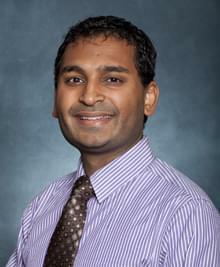 Dr. Kundu is a board-certified general medical dermatologist, with expertise in the detection and treatment of skin cancer and benign skin growths, and management of acne, pigmentary disorders such as vitiligo and melasma, and follicular and scarring disorders. 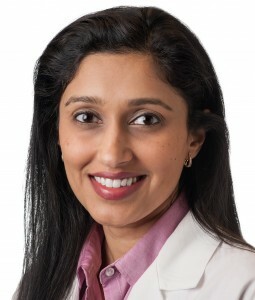 Dr. Kundu’s research focuses on the therapy of skin disorders that occur more frequently or adversely impact in individuals with skin of color, and she is the Director of the Northwestern Center for Ethnic Skin. This center provides clinical care, cosmetic dermatology and clinical trials research. I love the dynamic nature of my career. I am active in clinical care, education, administration and research. Ethnic Skin/Skin of Color/Health disparities – This has been a personal interest since early in my medical training. My residency offered me a varied training in diverse patient populations which further fueled this early interest. I am particularly interested in Pigmentary disorders (vitiligo and disorders of hyperpigmentation) and scarring disorders (keloids). Ethnic Skin/Skin of Color/Health Disparities AND Patient or Resident Education. Every day in clinical practice, I am humbled by the human body and how disease (and normal physiologic aging) effects our patients in a multitude of ways. Amongst all the new discoveries, there remains unanswered questions that research helps us get closer to new advancements in improving the care of our patients. Development and validation of a vitiligo-specific quality-of-life instrument (VitiQoL). Early in my academic career, the SOCS research grant supported my clinical and research interests, allowing me to pursue a research endeavor with funding support. SOCS also was a venue for me to share my research and develop collaborations with the larger scientific community that are also focused on the advancement of the understanding of skin of color. Yes, I have been the chair of the Patient Education Committee for several years now. I am currently a SOCS board member and have been asked to chair the Diversity in Action Task Force this year. Your passions and interests in dermatology can be the foundation of future research. As you read about a clinical area, unmet need, or new procedural technique, and you think about how you would do something differently, you have taken the first steps in designing your research project! I am actively an adult learner of tennis and enjoy hanging out with my husband, 3 kids, and dog. In the summer, we love to take bike rides, eat ice cream, and see what our vegetable garden will grow for our evening salad!